I want to remember Steve Jobs not as the physically weak and frail man that he had been in the latter years of his life. I want to remember him as the strong, vibrant visionary who spearheaded the creation of some of the greatest gadgets the world has ever seen. 1. "Almost everything -- all external expectations, all pride, all fear of embarrassment or failure -- these things just fall away in the face of death, leaving only what is truly important. Remembering that you are going to die is the best way I know to avoid the trap of thinking you have something to lose. You are already naked. There is no reason not to follow your heart." 2. "Your time is limited, so don’t waste it living someone else's life. Don't be trapped by dogma, which is living with the results of other people's thinking. Don’t let the noise of other's opinions drown out your own inner voice. And most important, have the courage to follow your heart and intuition. They somehow already know what you truly want to become. Everything else is secondary." 3. “I didn't see it then, but it turned out that getting fired from Apple was the best thing that could have ever happened to me. The heaviness of being successful was replaced by the lightness of being a beginner again, less sure about everything. It freed me to enter one of the most creative periods of my life." 4. 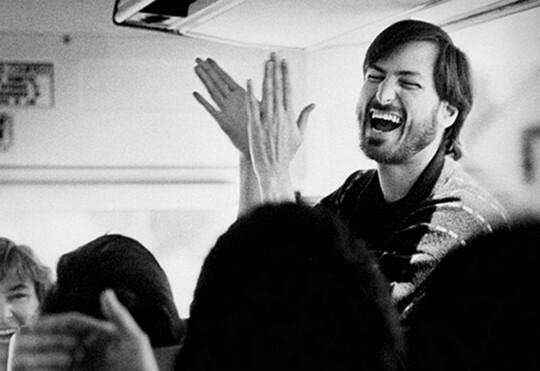 “Some people say, 'Oh God, if [Steve Jobs] got run over by a bus, Apple would be in trouble.' And, you know, I think it wouldn’t be a party, but there are really capable people at Apple. My job is to make the whole executive team good enough to be successors, so that’s what I try to do." 5. "Be a yardstick of quality. Some people aren't used to an environment where excellence is expected." 7. "That's been one of my mantras — focus and simplicity [in design]. Simple can be harder than complex: You have to work hard to get your thinking clean to make it simple. But it’s worth it in the end because once you get there, you can move mountains." 8. "Being the richest man in the cemetery doesn't matter to me. Going to bed at night saying we’ve done something wonderful -- that's what matters to me." Farewell, Steve Jobs! Thank you for everything you've shared with us!